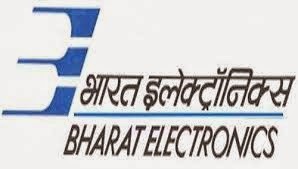 New vacancies in Indian Government: Bharat Electrical Limited Recruitment-2015. Hiring Organization ; Bharat Electronics Limited. Job Category : Government, PSU. Age Limit : Candidates Age Limit Should not exceed 50 years as on Date 01-01-2015. Age Relaxation will be applicable as per the Government rules & regulations. Qualification : All Interested Candidates should have completed Diploma, or Its Equivalent qualification from a recognized university / Board. How to Apply : All Eligible & Interested candidates need to Apply offline By downloading application from the official website http://www.bel-india.com. After filling the application form candidates need to send hard copy of application form with relevant testimonials (Mentioned in the Advertisement) to the given address on or Before 24th Feb 2015. Important date to Remember : 24th Feb 2015.